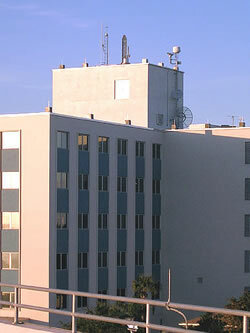 The Stuart repeater uses the call sign K4ZK and is presently located atop Martin Memorial Hospital. Elevation is 80' above sea-level The Stuart repeater operates on 147.060 MHz +600 KHz with a 107.2 Hz tone. National Weather Service SKYWARN - MCARA are proud to host the official SKYWARN repeater for Martin County. Tune to 147.060 + / 107.2 Hz to report severe weather in the listening area. A SKYWARN spotter number is not required. Visit the Martin County SKYWARN pages for more information.